It also serves literature-inspired cocktails. 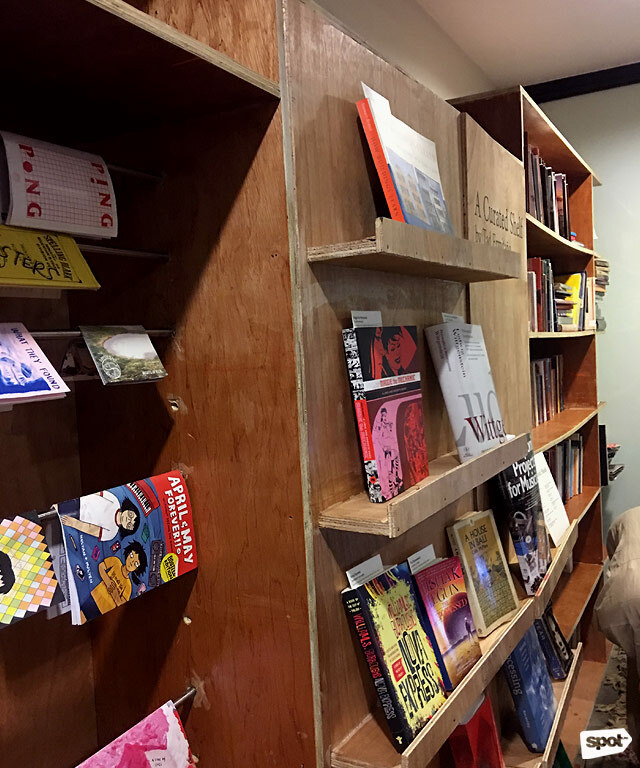 (SPOT.ph) Hidden at Warehouse Eight in La Fuerza Compound along Chino Roces Avenue in Makati is a quaint yet unassuming space with built-in wooden shelves filled with books, zines, and other things that would make any reader's heart skip a beat. Posted on its doors is a sign that says "come as you are," and that's your first clue that Kwago—part-library, part-bookstore, and part-café and bar—is not your ordinary reading place. 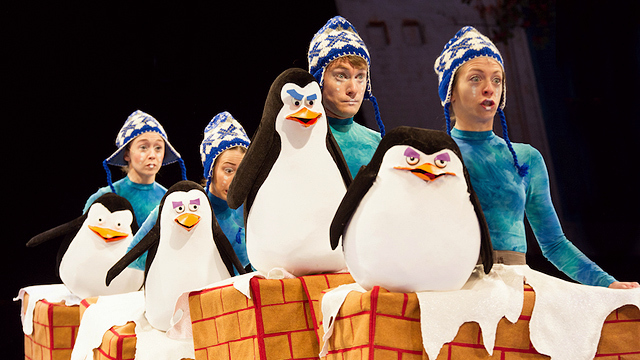 They've been around since January 2018, but they're looking to kick things up a notch in 2019. Kwago is not your ordinary book stop. It's an events space, a library, a bookstore, a café, and a bar rolled into one. It all started because of founder Czyka Tumaliuan's love for books. "I started Kwago to make people fall in love with reading. 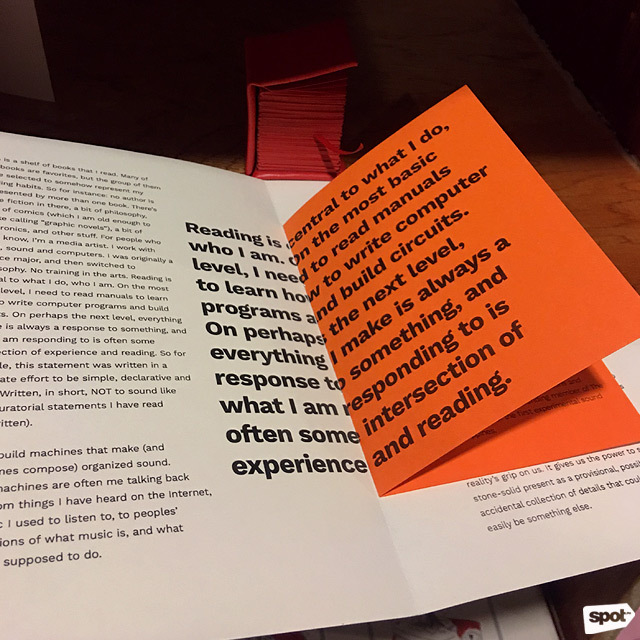 All our programs are designed to intimately engage readers and writers with the printed word in multi-sensory ways," says founder Czyka Tumaliuan in an interview with SPOT.ph. She recalls that she developed her passion for books back in college when she was exposed to philosophy and history, and she realized the importance of reading books. "Being confronted with this ignorance led me to constantly want to read and learn," she adds. 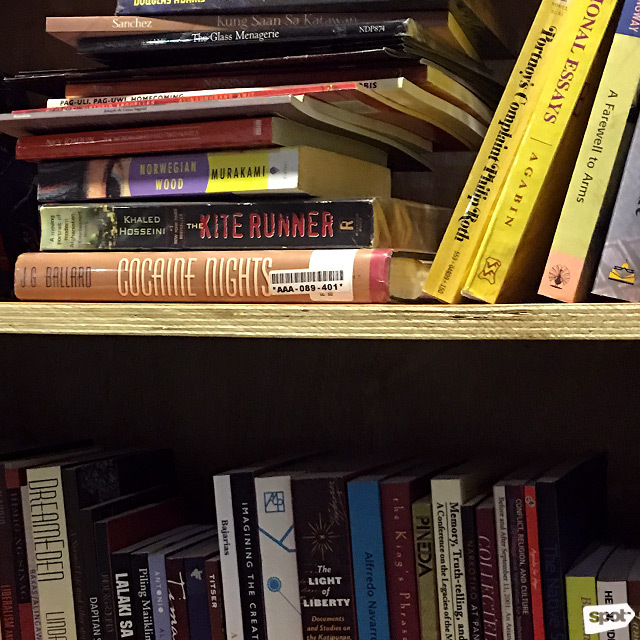 You can borrow or buy a book—but most of all, you can discover a new favorite when you go there. The kwago, a Filipino term for owl, is a nocturnal animal often associated with wisdom and knowledge. Kwago the book bar, on the other hand, offers an intimate space for readers, writers, and artists that's meant to encourage the sharing of ideas. The concept was inspired by Ernest Hemingway's short story "A Clean, Well-Lighted Place"—Tumaliuan envisioned a space where she could read in silence while enjoying a glass of whiskey. At Kwago, you can order literature-inspired cocktails such as the Hemingway (a mixture of whiskey, Campari, and vermouth) and Dark Hours (a mix of espresso, vermouth, triple sec, and tonic water inspired by Conchitina Cruz's poem of the same title). The book bar also hosts reading clubs, craft fairs, publishing events, artist's talks, and poetry readings. 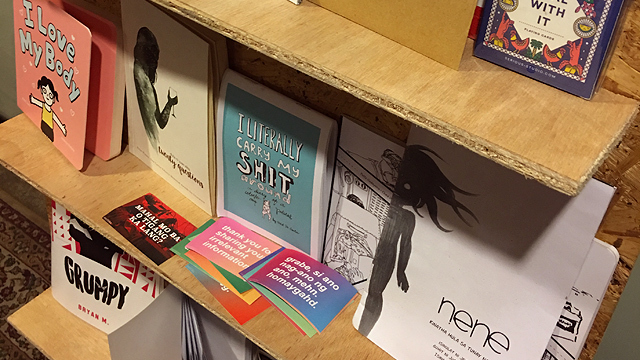 "A Curated Shelf" has recommendations by artist Tad Ermitaño. 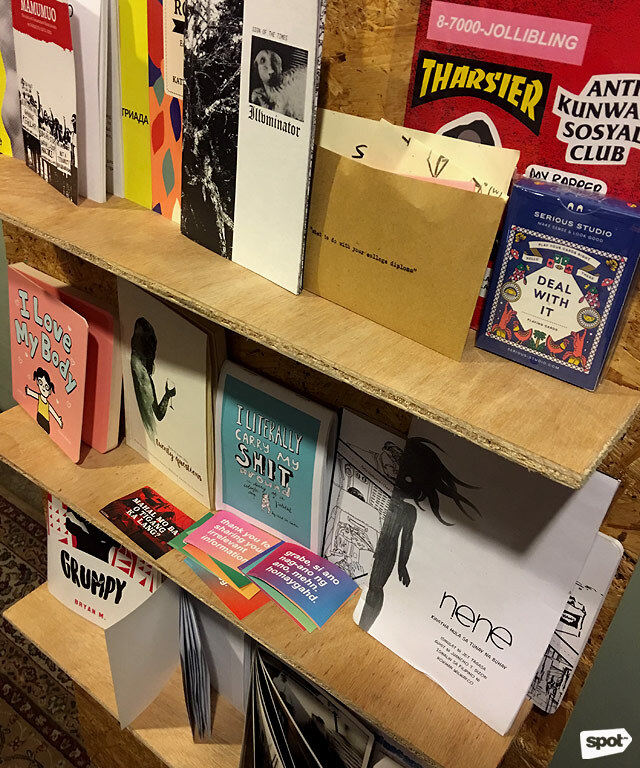 The shelves also hold zines and chapbooks, which are a pretty rare sight these days. To foster a culture of reading, Kwago invited multimedia artist Tad Ermitaño to choose books, as well as other reads that have influenced his work, for the bar's "A Curated Shelf." His selection includes works by Ursula K. Le Guin, William S. Burroughs, Colin McPhee, and Samuel Delany. 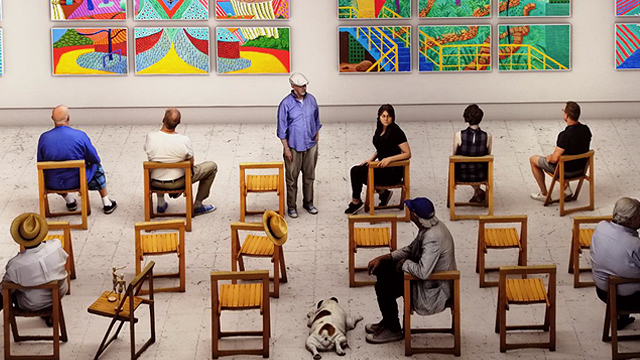 Each book has a note in it with Ermitaño's bite-sized insights, as well as observations on how the title has influenced him as an artist. The curated shelf is expected to be on display until April 12. "Kwago is really designing programs not just to provide access and distribute the printed word, but to create spaces to understand reading, writing and publishing as a form of discourse, as well as a space to connect readers and the content makers in an intimate way,” says Tumaliuan. 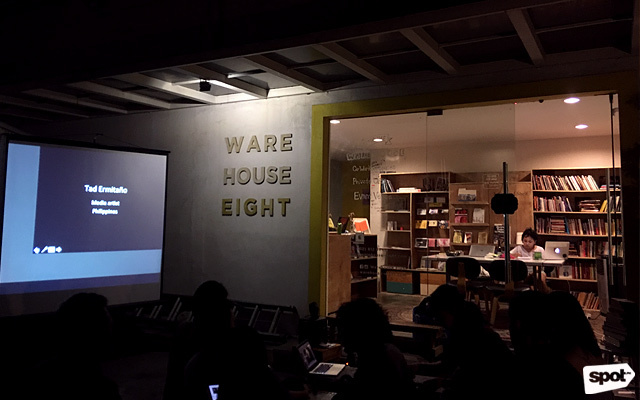 Kwago Book Bar is at Warehouse 8-A, La Fuerza Plaza, 2241 Don Chino Roces Avenue, Makati City. It is open from Monday to Saturday, 1 p.m. to 10 p.m. For more information, visit Kwago's website.